To be creative can be as simple as seeing something everyone else sees, but thinking what no one else thinks about it. Creativity is effective novelty. That is to say, it is doing or making something new that solves a problem or usefully changes how we act, think, or feel. To be creative, then, can be as simple as seeing something everyone else sees, but thinking what no one else thinks about it. 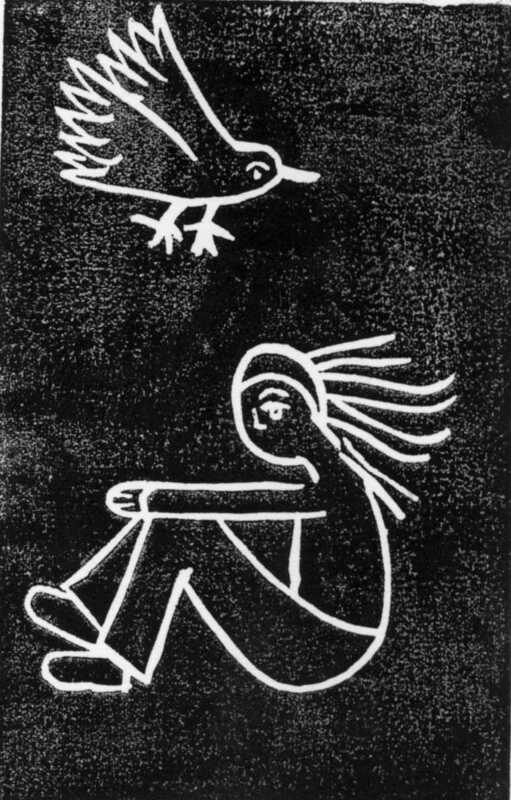 (Is that a bird or a flight of fancy?) Other times, it requires taking ideas or processes that people usually view as being totally unrelated and finding some fruitful connection between them. We gave an interview to a Brazilizian journalist about creativity. Here are our answers – in English! Creative people tend to utilize a wide range of thinking skills. In our book, Sparks of Genius, we identify thirteen "thinking tools" common to creative people across many disciplines and endeavors. These are observing, abstracting, imaging, pattern recognition, pattern forming, analogizing, body thinking, empathizing, dimensional thinking, modeling, playing, transforming, and synthesizing. It may seem odd, but scientists and artists of all kinds abstract and simplify complex things and processes, play with their ideas, and empathize with the objects of their study in similar ways. We have another book in the works that will describe additional strategies for thinking that are common to creative people. One is that creative people practice creating. They pursue multiple hobbies or avocations such as painting, music-making, writing, dancing, cooking, modeling, making clothes, and so forth, in which they can play around with and get comfortable with the creative process. Because the creative process is largely transferable from one discipline or endeavor to another, this creative play can have beneficial effect on professional (vocational) work. In fact, a by-product of having many creative avocations is that creative people have a wider range of knowledge, experience, skills, and techniques to mix and match in novel, interesting and unexpectedly useful ways. So creativity breeds more creativity. 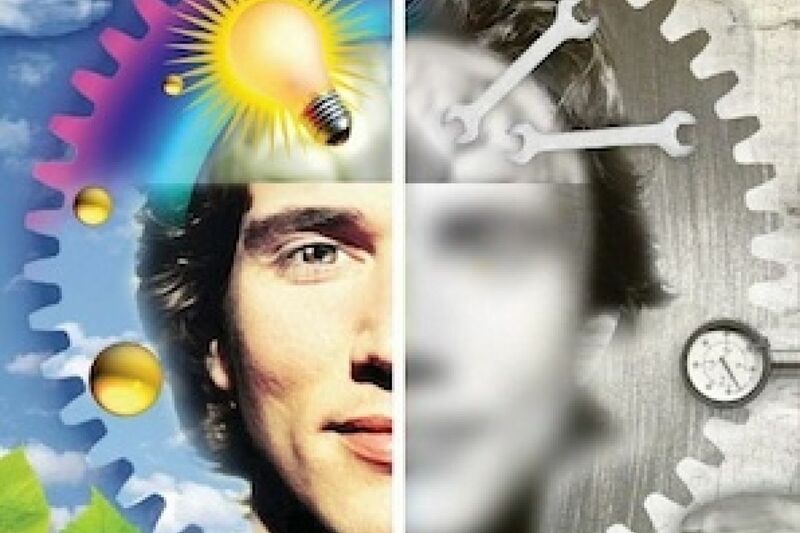 Do creative people think differently from ordinary people? Not really. They just think more effectively – and persistently. Everyone goes through an identical learning process that begins with copying what other people have done. That's how we all learn to read, write, make music, dance, perform experiments, and everything else. The next stage is to start making variations on what we've learned. Instead of just playing the notes on the page or dancing the steps we’ve memorized, we begin improvising. This requires taking risks and being willing to fail. Many people don't want to do that and here’s where creative thinkers begin to part company. They don't give up easily when things get difficult. Eventually, they hone the skills necessary to make their own unique things from scratch: a whole new dance, a new composition, an experiment never tried before. But what really makes the great creators great is combining such improvised materials from two or more unrelated fields: a composer who looks at a computer as a new kind of instrument; a sculptor who sees in machines the possibility of kinetic art; a biologist who uses his art to discover camouflage. Are creativity and intelligence the same thing? 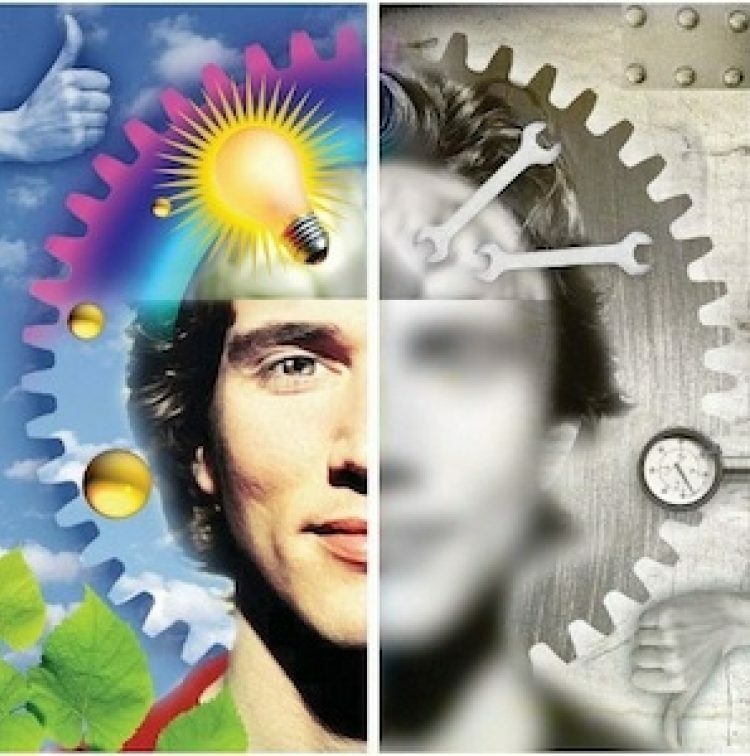 Are intelligent people creative and creative people intelligent? Intelligence and creativity are not the same thing. There have been many studies of the relationship of IQ (the intelligence quotient) and creativity. These generally find that people with very high IQs are often not very creative. And very creative people are often not the most intelligent but, rather, of average intelligence. In fact, most Nobel Prize winners in science have IQs in the 120 to 140 range, which is below the cut-off often used to define "genius"! So high test scores and great grades do not necessarily set creative people apart, especially when young. Nor does precocious talent. Far better to look for evidence of a playful imagination and a habit of making and exploring. We have convincing evidence that adolescents and young adults who are polymathic (that is, have several well-developed talents or hobbies) are more likely to become creative adults than those who have a single talent or interest. What can people do to improve their creative potential? The best thing for enhancing your creative potential is creative practice. Learn some new skill: writing, photography, cooking, dancing, computer programming, chess... you name it! But while you are learning, pay attention to HOW you are learning. 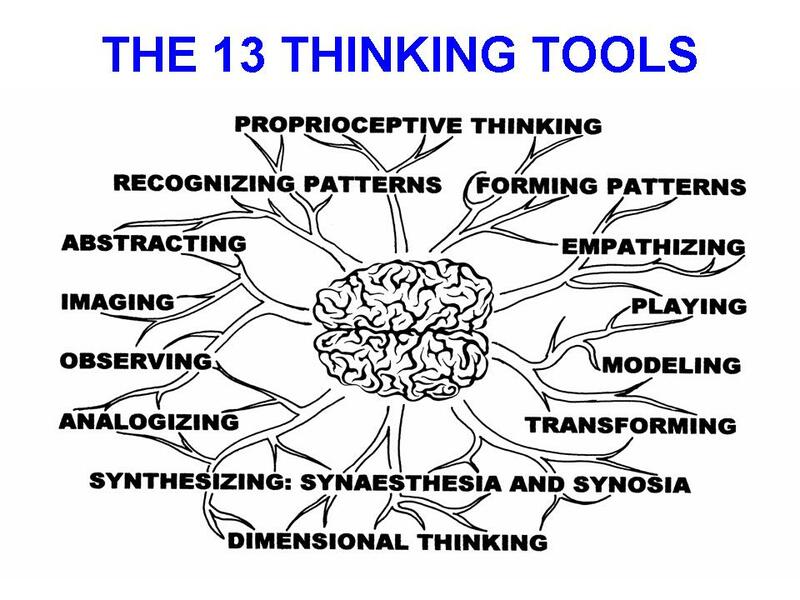 Use your thirteen "thinking tools" to play around. Experiment. Explore. Break the rules. See what happens if you do the opposite of what you are supposed to do. Make mistakes on purpose to see if something interesting happens. Make up your own rules. By playing such games, learn what strategies work for you. And then apply your own successful strategies in other parts of your life and work. As long as you keep trying to make and invent, you build creative muscle.